Purpose. 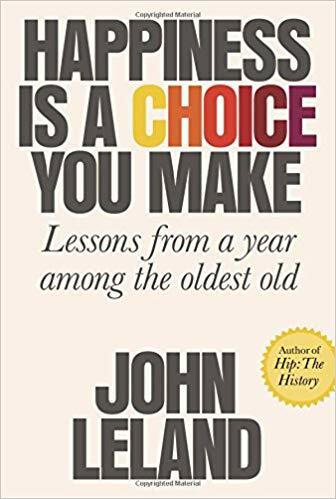 Whether you are young, old, or old old, you can find lessons about living well in a book by John Leland titled, Happiness Is a Choice You Make: Lessons from a Year Among the Oldest Old. Journalist Leland spent a year tracking the lives of six people eighty-five years old and older. Here’s one spoiler: happiness has a lot to do with having a purpose in life. Leland listened to the stories of these people and conveys them to readers in ways that are lively and interesting. Rating: Four-star (I like it) Click here to purchase Happiness Is a Choice You Make from amazon.com.